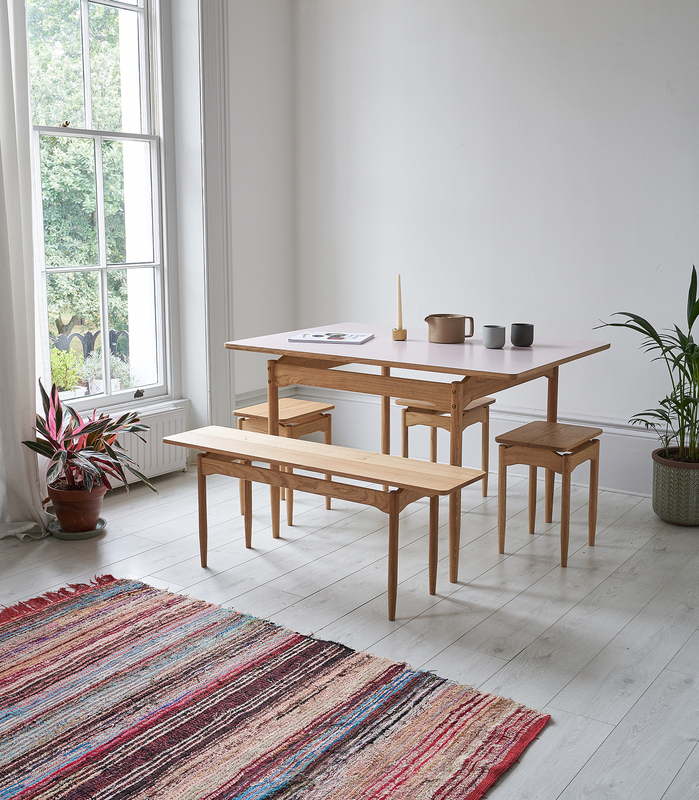 Perfect for compact and uncompact living alike, the Hideout table references Danish design, and features elegant floating rails. 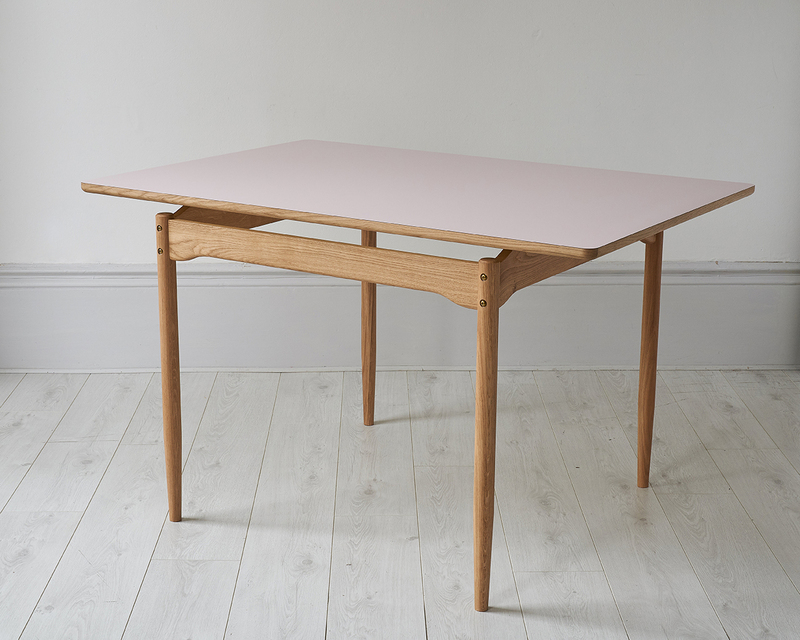 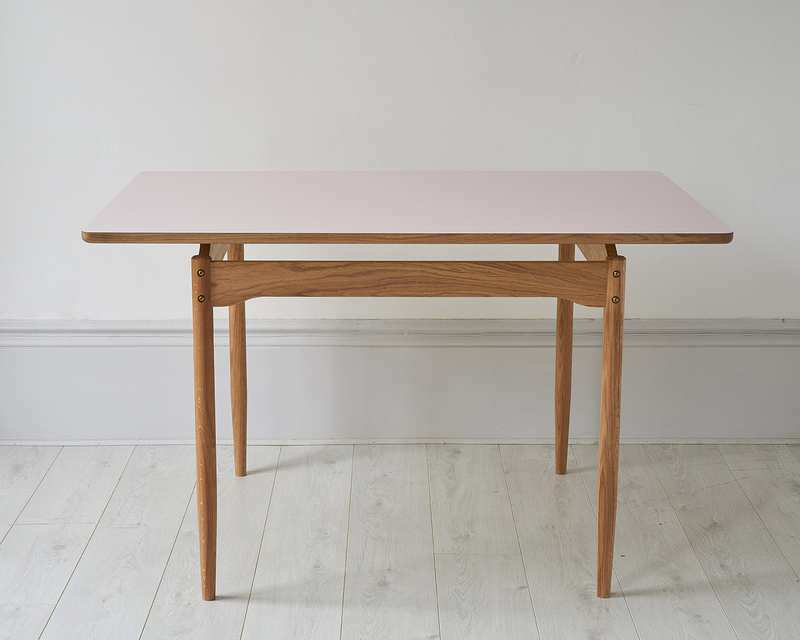 Handmade from solid European Oak, the Rose Formica top adds a sense of retro revival, and is both durable and practical. 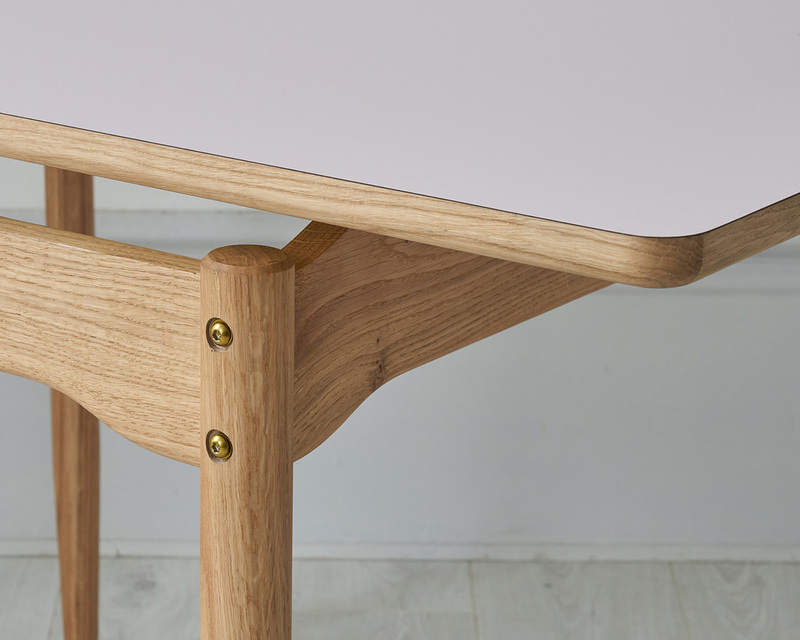 Detachable leg frame for ease of moving.